Tag Archives for " 10x Marketing Formula "
My guest for this week’s episode of the Duct Tape Marketing Podcast is Garrett Moon. He is the CEO and co-founder of CoSchedule, the web’s most popular marketing calendar and the fastest growing startup in North Dakota. He and I discuss his new book, 10x Marketing Formula. 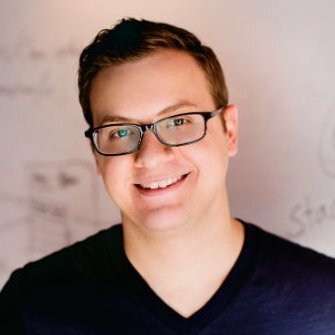 Ranked as the best business tool built by a startup on Entrepreneur.com, CoSchedule helps more than 10,000 marketing teams stay organized in 100+ countries around the world. In 2016, CoSchedule was named one of the top five startups in Tech. Co’s Startup of the Year Competition. As a thought leader, Moon has been blogging and speaking about content marketing, social media marketing, and startup business for more than seven years. He’s been featured on sites like Entrepreneur, Forbes, Social Media Examiner, and Content Marketing Institute. What is the content core and is it adaptable to all channels? What should a content team look like today? What are some examples of people doing the 10x approach well? Download the first chapter of 10x Marketing Formula for free.